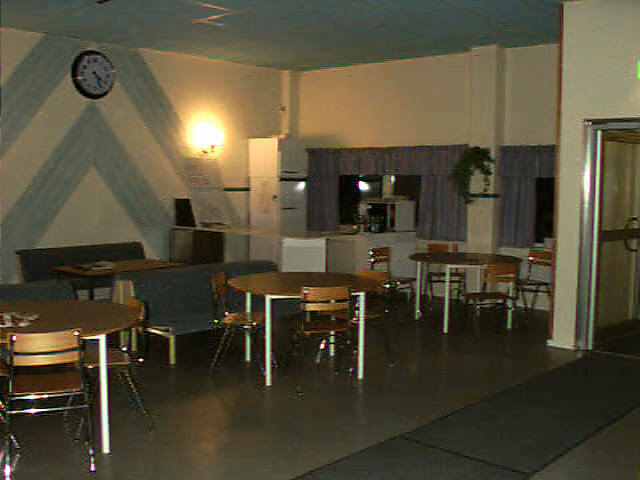 IMParty19 will be arranged at the common party place which has been IMPartys home since IMParty 8, back in the nineties. The house have places for your computers (well that's a surprice..), internet connection (ethernet, please bring your own switch to ensure connection), showers and sleeping corners. A pizza/food-place is located about a kilometer away, and stores for buying food another kilometer further away. Usually we order food together and/or have a barbecue. Candy and coffe-machines are available at the location. 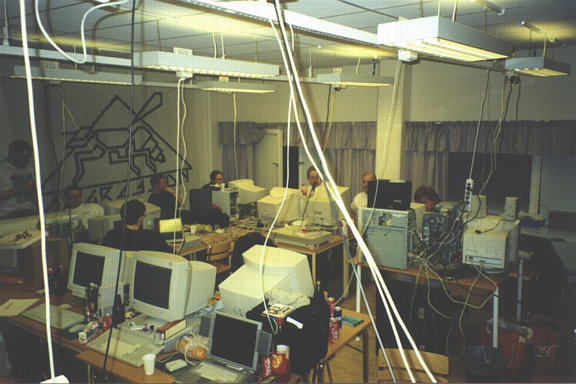 Old image from one of the computer rooms. Entrance room, poker, eating, drinking.. 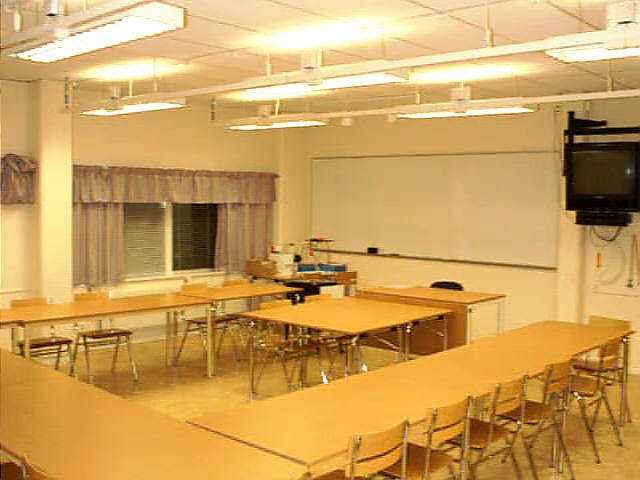 The general "livingroom" of IMParty. A 'live shot' from IMParty 8000 back in 1998/1999.